Spinnaker tracks changes that people make to your database. At the most basic level we track who made the change, what day/time they made it, and the before and after snapshots of each data point changed. We know this can be a pain and we are here to help not hinder. So look out for the "Quick Entry" option. 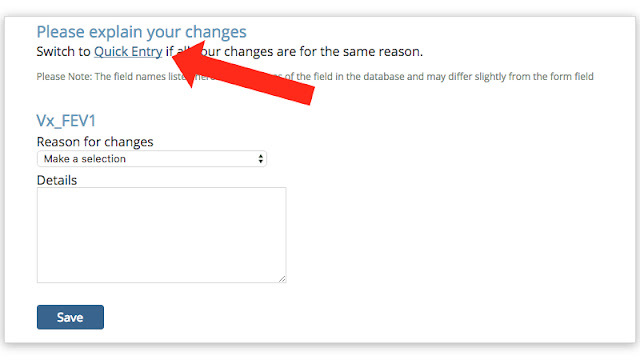 When you have multiple changes on a form AND they are all for the same reason, click the Quick Entry link to shrink that list down to just a single entry explaining the changes for all the data points.